If you had to think of the most loved, most famous movie villains in all of movie history, you would be hard pressed to get past Star War's Darth Vader. In anticipation of his reappearance in Star Wars: The Last Jedi and his recent appearance in Rogue One: A Star Wars Story we put together a list of the top three things Darth Vader would say about wooden containers. Wooden containers are one of the most versatile shipping and storage solutions for businesses. If you were to ask Vader his thoughts on these cost effective, durable and easy to customize solutions here's what he might have to say. 1. "No. Leave them to me. 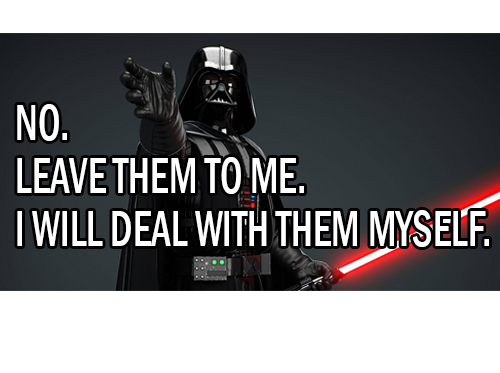 I will deal with them myself." 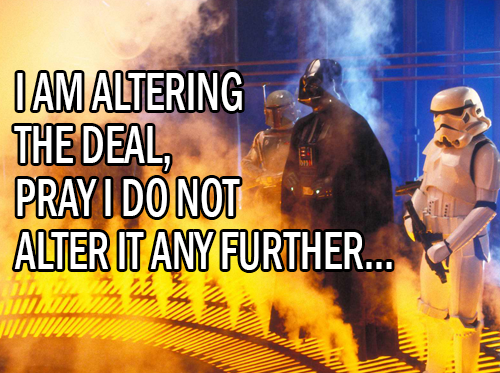 As possibly one of the most notable cinematic villains Darth Vader was rarely one known for delegating. When a problem such as the shuttle Tydirium attempted to infiltrate the Death Star, with Skywalker, Princess Leia, Chewy and Han Solo aboard, he decided to handle it personally in The Return of the Jedi. He would probably feel that building wooden crates in-house is better than buying from a supplier. But just as Admiral Ozzel failed him in The Empire Strikes Back he would be wrong to place his trust in building his packaging in-house. The truth is, when it comes to buying vs. building crates in-house, most manufacturers would prefer to buy their wooden containers from a supplier. If a manufacturer decides to build packaging in-house, they are ultimately taking time away from their core business activity (manufacturing), which could slow production and profits. By choosing a wood crate supplier and you will save time and money. Packaging companies want your business, so they are willing to do some serious negotiating in order to land your account. It’s that simple! Follow our 16 Questions to Ask Before Outsourcing a Packaging Contractor guide. Darth Vader understands the importance of maintaining control of the situation as he did with Lando Calrissian in The Empire Strikes Back when Darth Vader had Princess Leia and Chewbacca brought back to his ship. Customizing a deal is much like customizing wooden containers. Altering packaging to fit the unique needs of your product is critical to the correct protection created during transport. Unlike other comparable packaging, wooden crates can be customized to your part in very low quantities. Believe it or not, the purchase price for a wooden container is actually lower than the cost of many other materials because alternate materials, such as plastic, fiberglass and corrugated require larger production runs. In fact, wooden containers are an ideal choice for companies on a budget or businesses that simply want to save money. Wood is easy, inexpensive to acquire and wooden crates are easy to produce—even with the most complex customer product measurements. 3. 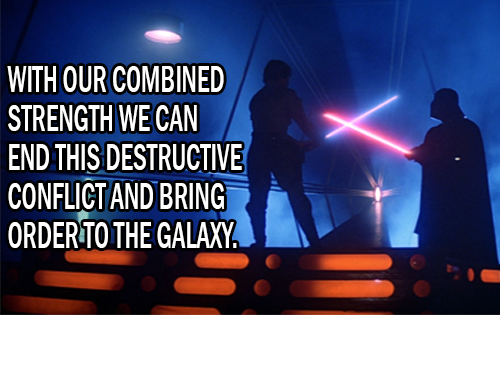 "With our combined strength we can end this destructive conflict and bring order to the galaxy." Darth Vader was a clever villain who felt that a mix of the light and dark side of the force had a higher likelihood of leading to the most power. In the epic battle scene in The Empire Strikes Back, with one of the most memorable lines "I am your father", Vader invites Luke Skywalker to join him on the dark side. Vader would understand that its the combination of the wood top box and the base that provide the strongest packaging support for your product. Did you know that the most complex part of a box tends to be the base? In fact, base, lid and internal components are typically the design elements that vary greatly from box to box. Depending on the your needs a variety of engineered bases may be employed including special skid configurations constructed from plywood, dimensional lumber or steel. Additionally, internal technology such as custom saddle components or complex tie-down applications may be utilized.